Perth’s gallery and museum precinct is testament to the creativity occurring in the western state. The Art Gallery of Western Australia houses many important collections of Australian art, including prominent artists Sidney Nolan, Arthur Streeton, Christopher Pease and Grace Cossington Smith. A trip to the gallery is the ideal way to explore a uniquely Australian way of life. Rising in the middle of the city is Perth’s Botanic Gardens, an area filled with native Australian shrubbery and bush where you can enjoy your day relaxing in style. Here, the Lotterywest Federation Walkway allows you to walk through the treetops and experience the gardens from above. Make the most of the warm weather by spending some time at Cottesloe Beach, a tranquil swimming spot that’s perfect for families. 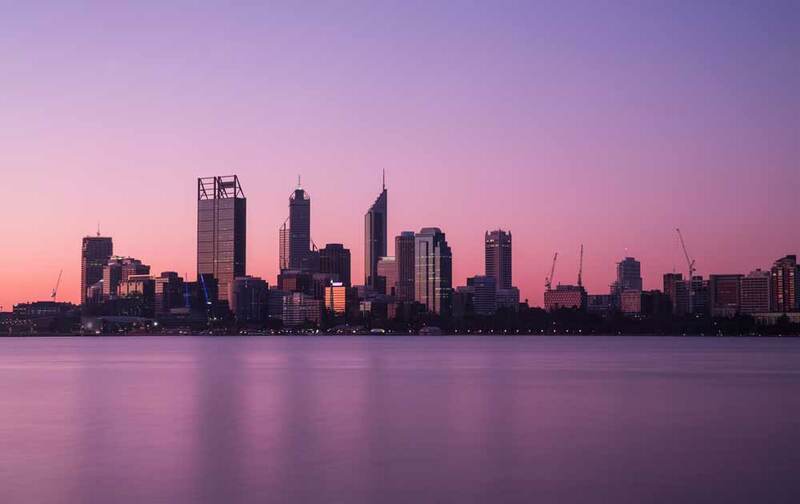 Perth is just a short drive away from some of Western Australia’s must-see destinations. From the capital, take a three-hour drive south to find yourself in one of the country’s pre-eminent wine regions, Margaret River. Set in a pristine landscape that’s dotted with idyllic farmland, rolling hills and calm beaches, winemakers in the region are especially skilled at producing premium Cabernet Sauvignon, Shiraz and Chardonnay.